Sensational pre-war three bedroom with 2 full baths located in White Plains at the charming and elegant Saxon House.Inside there is sprawling space which includes a large galley kitchen with a formal dining room, an expansive living room, and a bonus den.The master bedroom has views of the courtyard and both bathrooms have been updated. The wood floors with inlay borders are in amazing shape and the home has just been freshly painted. 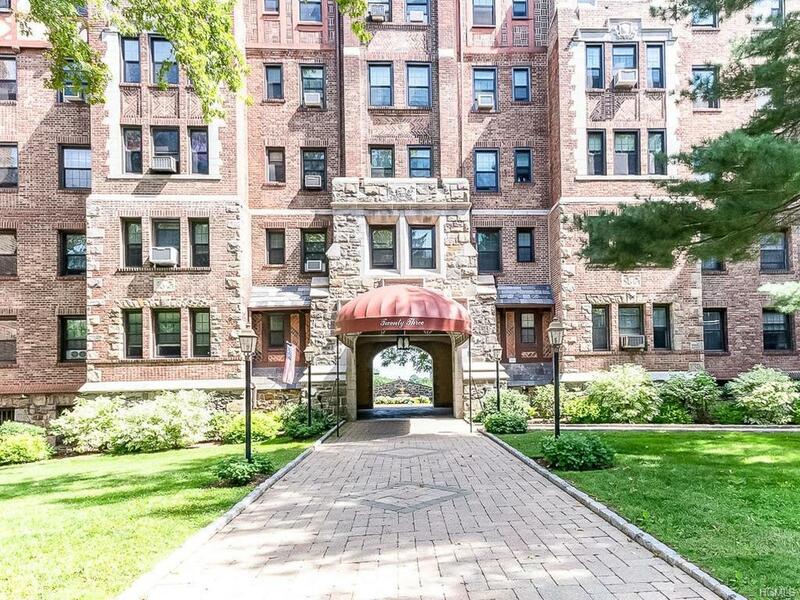 The Saxon house has a unique courtyard surrounded by lush landscape and offers storage, onsite laundry and is close proximity to shops, restaurants, downtown White Plains, major highways and local transportation including Metro North which is just about 35 minutes into Grand Central Terminal.